You might have heard of ‘Domain Authority’ (abbreviated: DA). Every single SEO and a lot of webmasters use that term. As it’s a bit self-explanatory, you can already get a basic idea about it going by its name. Still, it basically means how much your site is likely to rank higher in search engines compared to competitor sites. So, it basically is a comparative metric and not an independent one. So, increasing your Domain Authority loosely means increasing your chances of ranking higher in search engines. That’s why I’ve put together a list of 50+ ways that you can use to give your site’s DA the boost that it probably deserves. What’s more, I’ve also crafted an infographic containing all the strategies so that you can take a look at the fundamental points in an easier way. The post content is obviously more detailed, containing important explanations to the various points. You can take a look at both below. Before I post the infographic, I’d prefer to tell you a few more things. There’s a metric of Moz exactly called ‘Domain Authority’ that they directly use in their Open Site Explorer tool along with similar terms like Page Authority (which is the page-specific variant of DA), MozRank (similar to PageRank) and MozTrust (how far away your site is linked from trusted seed sites). 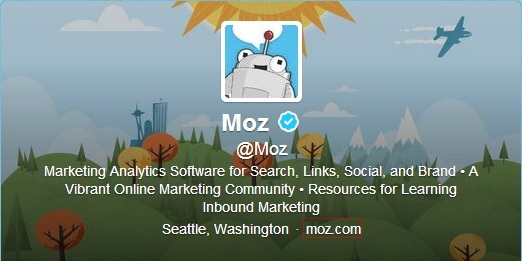 But the term ‘Domain Authority’ doesn’t always mean the Moz metric. Anyway, like I already said, the Moz metric is calculated on the basis of your site’s search engine ranking potential. So, it’s not like once you’ve achieved a Domain Authority of 40 (it’s calculated in a scale of 0-100) it can’t get reduced back to 35 (it’s much easier to take it from 30 to 40 than from 80 to 90). It actually fluctuates, but generally not that much for sites that are constantly progressing. It’s also important to note that the Domain Authority metric is almost entirely dependant on the backlinks (dofollow) pointing to your site. So, what helps the most to increase your site’s Domain Authority (and thus it’s ranking potential) is to acquire links from sites that already have high Domain Authorities themselves. Another thing to consider is the correlation based ranking factors. Literally, any factor that has a correlation with higher search engine rankings can influence the Domain Authority of a site. So, in a not-so-direct way, your on-page SEO or offline marketing efforts can have an indirect influence on your site’s Domain Authority. There are many positive side-effects to having a moderately high Domain Authority. Better search engine visibility guarantees more traffic, leading to more exposure and brand awareness, and thus increasing the chances of landing in more social shares and natural backlinks. Now, those are pretty good influencers of the Domain Authority metric themselves, so you can basically say that once you start rolling the ball, it continues to gain more and more momentum everyday. Click the image for the full-sized version, or right-click and open the image in a new tab. On-site factors are the most basic ones that can influence your site’s ranking abilities and DA. A practical, user-centric site structure is crucial. Then, you should focus on on-site optimizations and on-page SEO while keeping user experience in mind. Maintaining a clean and easy to understand site structure is the first thing you can do to improve user experience. As you probably know already, user experience is actually something you should be very careful about. Whatever you do with your site, the last thing you want to do is to piss off your visitors. Low bounce and pogo-sticking rates are two indicators of pleasant user experience on your site. A low bounce rate means less people leaving a page in your site without interacting with it — without clicking anything on it or visiting another internal page, for example. On the other hand, a low pogo-sticking rate means less number of people, who found your site through organic search results, going back to the SERP soon after checking your site — in most cases because the content on your site was unable to satisfy the searcher. So, you should always be aiming for lower bounce rates and pogo-sticking rates. One of the best ways to do that is to invest a bit into a structural site design that’s rich from an usability perspective. A great on-site structural tweak is using text links extensively through your website. It helps both users and search engines find the most prominent as well as related (to the current page) contents on your site easily. When you’re using images for highlighting some of your best contents, make sure you use relevant image alt tag values. According to Google’s SEO starter guide, alt tags can be considered as the anchor-text for images. A well designed and structured sitemap is a great way to navigate across your site. Not only does it improve user experience, it also helps search engine spiders with deep crawling of your site. So, for example, if you don’t submit a sitemap through the Bing Webmaster Tools, it’ll still make life(?) a lot easier for Bingbot and Bing will be able to index your site pages in an easier way. It also helps with internal flow of PageRank (and thus MozRank and similar metrics) and improves accessibility of the old pages of your site. So, it basically results in more visits to your old contents and in a way, more chances of them ranking well, or, better in search engines. Google suggest that the most important pages of your site should be a maximum of 3 clicks away from your home-page. It’s not always feasible (such as, in case of old blog posts under regularly updated categories) without a user-accessible sitemap. It’s not a great idea to keep a thousand links on every single page of your site. The main reason behind this is that it dilutes the value of each individual link. If you’ve ever actually read a bit about how PageRank flows, you should know how a high number of outbound links on a page reduces the amount of PageRank juice that gets flown through each of the links. This is why you hear stuff like, a link on a PR2 page that coexists with 4 others, is often as valuable or even more valuable than a link on a PR3+ page that shares the page with 50 other links (just to give you a basic idea). There was a time when Google used to recommend webmasters to not cross the 100 links per page limit, with the primary reason being they didn’t index more than the first 100K of a page. But since then, a lot of things have changed and Google is now able to crawl and index a lot larger web pages. So, if you aren’t an SEO freak, you don’t even have to worry about the number of links on every single page of your website. But, generally, having too many links on each and every page of your site isn’t a good idea even from an user experience perspective. Google modified the original suggestion and currently advises people to just keep the number of links within a reasonable limit. By practical, I mean an internal linking strategy that doesn’t involve interlinking all the blog posts that you’ve ever published. Sadly, a lot of ‘blogging tricks’ type of websites recommend newbies to make free use of internal links, by linking to one blog post from thousands of others, with a clear intent of improving search engine performance. Sadly, not only does it not work that way, but it also annoys the hell out of your readers. It also helps with your public image by not making you seem like an anchor-text whore. 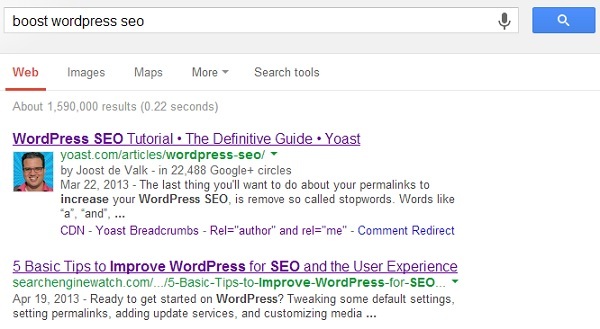 Google Authorship offers much more than just pretty looking author face shots on SERPs. Pages with a valid rel=”author” attribution, where you’re associating a piece of content with a real author, you’re automatically at some advantage over other pages that don’t have authorship set up. And not only that, according to many studies, Google Authorship significantly increases the CTR of search results. Add to it the fact that seeing the picture of a real person within a snippet instantly makes the result feel more credible/convincing to the searcher, and you understand the recent craze about Authorship implementation in sites of almost every possible niche or field. Higher clicks from search → higher exposure of your content → more chances of user-interaction, including but not limited to: social shares, direct linking, brand mentions. So, that’s how it’s going to impact your DA. One of the best ways to waste the power of links is by placing a ton of them (including heaps of garbage links) on each page. It’s called link dilution. 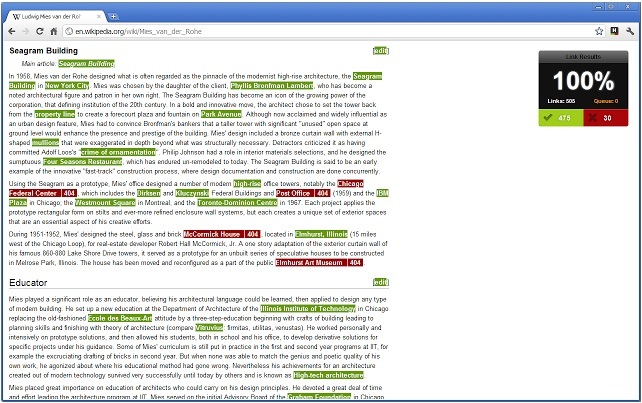 Individual tag links and tag clouds. Epic long category link list (instead of a non-hardcoded drop-down or something fancier). How exactly are they deemed useless? No they aren’t, always. But, if people really want to navigate deep across your site pages, offering them an user-sitemap is a lot better idea than populating your sidebars or footer with long list of links. Instead, you can just link to the user-sitemap from your menus or sidebar or footer and let users decide where they want to go next. Matt Cutts in fact says that he’s not a big fan of tags, also because some people use them for manipulative purposes. To be on the safer side, I always no-index the tag, archive, and category pages of my WordPress blogs. How much does site speed actually matter? From a user experience standpoint, a lot! From an SEO standpoint, only a little bit. A slow site speed can also send negative user experience signals to Google, often affecting rankings. Google have declared that they do take site speed directly into consideration while ranking sites, but Matt Cutts has revealed in many videos that site speed isn’t a major ranking factor. In fact, it’s one of the many ‘mini-factors’ used by Google. According to an infographic by KISSMetrics, 40% of people abandon a site that takes 3 seconds or more to load. You can use Pingdom’s free Full Page Test tool to get an idea about your site’s current load times. You can then run your site through Google’s PageSpeed Insights to know which areas of your site can be optimized further for speed. If you’re using WordPress for your site, you can check this extensive post on WordPress optimization that I wrote around a month or so ago which will give you quite a number of actionable ideas about improving the load times of your self-hosted WordPress site. If you’re looking for a new web host, a couple of popular options are InMotion Hosting & BlueHost. Google is pretty good at recognizing synonyms and displaying most relevant results. In fact, I was reading somewhere, the goal for Google is to guess and display the results that the searchers are looking to find, even if they’re not comfortable with vocabulary. 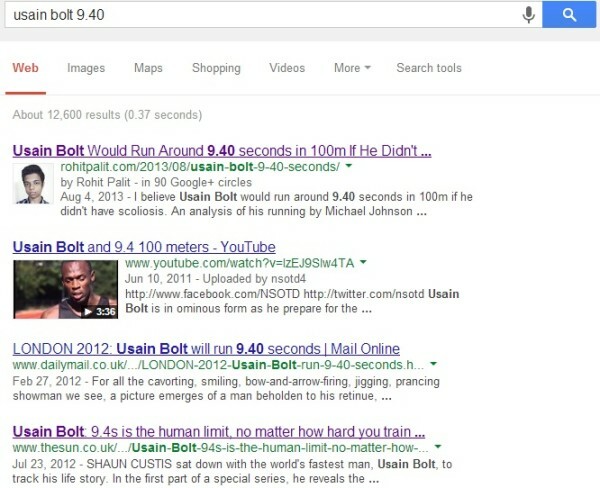 For example, Google considers terms like ‘increase’ and ‘improve’ very related to the term ‘boost’. So, if a user searches for “boost wordpress seo”, Google will likely return results in which variants of the actual keyword are more prominent, if Google perceive them to be better in value than pages that directly use the actual keyword or phrase. It’s absolutely important to keep your permalinks concise. Google hates long URLs, because they tend to be used by keyword stuffers and spammers in most cases, and also because long URLs tend to turn users off. Google’s official suggestion is to keep your URL structure simple, and your URLs short, so that people can often remember the page URL in addition to the domain name and the Page Title. This is also the reason behind Google’s recommendation of using words in URLs instead of just IDs or stuff like that. As the URLs actually appear on SERPs, users are more likely to get deceived seeing something like “page1.html” instead of “page-topic-in-short.html”, according to Google. So clearly, this results in higher CTR and better perceived value of your site to the users. So, in the long run, a bad URL structure might just peeve some people, causing your site to miss out on potential social sharing and backlinking opportunities. It’s anticipated that search engines are able to distinguish between different segments or blocks within web pages. So, now web pages themselves aren’t the smallest web search unit anymore. We heard something related to this from Matt Cutts, when he spoke in a video about how footer links might not always carry as much value as contextual links within a paragraph of text. This isn’t just limited to links. Google can now check block-level relevance as well. So, suppose you write about dog food in one paragraph of your post, and about motorola x phone in the next one, that sends a bad signal to Google. Block-level optimization involves sticking to a particular topic or context while writing a piece of content, so that you don’t go too off-topic in the process and the words you use and the links you place reflect that. Google loves constantly updated pages. The update frequency is what often determines how often googlebot visits and crawls your website. You can leverage the dynamic nature of your site by placing constantly updated widgets or periodically updated sections on your site’s pages. 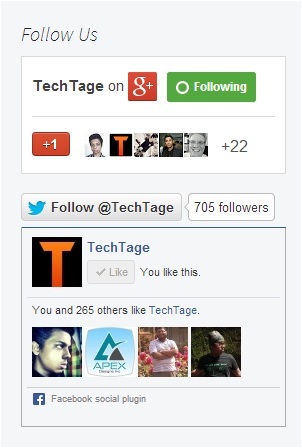 For example, I put a ‘Recent Posts’ widget on the sidebar of every post of TechTage. So, if your site is updated often with new content, including a dynamic ‘new content’ type of section in your sidebar or footer can actually improve the crawling speed. As it promotes deep crawling and can potentially increase crawling frequency, it’ll make sure that even the most unlinked to page on your site gets indexed in Google, creating an opportunity for it to be seen by more people (searchers) and that page will potentially attract links. High-quality content is the backbone of every successful authoritative website. What is considered high-quality? Well, it’s not only huge content pieces (like the one you’re reading). Google suggests that as long as you bring something new to the table through your content, it’ll be considered high-quality, provided that you don’t screw up with the writing or write something that makes no sense. On the other hand, nothing works as well as good content when it comes to attracting natural links and user appreciation. So, content should be a key focus for you if you’re looking to increase the authority of your site. I also feature them on the sidebar of the blog, so that the readers get to know about the best stuff TechTage has to offer. These content pieces have proven to be consistent with the social shares, user interest and natural editorial links that they attract. Content assets don’t have to be either super unique or super lengthy. The trick with producing them is combining existing information available elsewhere with your own knowledge and insights to produce something so epic that your competitors won’t even dare to copy. For example, take a look at this complete guide on Amazon affiliate site building by Marketever. It’s not the only guide on building an Amazon affiliate site on the internet, but I’m pretty sure it’s the most in-depth one out there. Finding a popular topic that interests me. Doing a quick Google search about it and going through the first page, and in some cases second page results. Creating something that provides more value than the twenty of the first two pages’ results combined. It may sound simple, and I wouldn’t say it’s hard, but actually creating a content asset can be quite boring, especially if you’re writing thousands of words on something you’re not even that passionate about. That’s why post what I’m passionate about on my sites first, before going on to post stuff that I have to research well and separately about. As a DA growth enthusiast, your goal would be to find and identify top articles in a chosen field. By top I mean posts that are clearly having more social shares and links than the others on the same topic. Generally, that’d be the case for the first page results in Google. You can use Ahrefs (I prefer) or Open Site Explorer for backlink and social share checking. Producing something totally unique can yield exceptionally good results. I did a little bit of experimenting with Google’s advanced search operators and came up with a blog post, which obviously was unique because it was based on my own findings. I got natural links and social shares with zero outreach. Dr. Pete of Moz came up with the concept of MozCast and then he built it a year ago. It basically assigns weather temperatures to each day in the world of search engines. Higher temperatures mean more changes/fluctuations in rankings across the day, and low temperatures mean the opposite. So, because what he built was and still is extremely unique as well as useful, the site got a ton of well deserved links and thousands of social shares. I created a custom firmware (OS – more or less) for Nokia’s first-generation touch-screen devices 3 years ago. It was so popular that the forum threads together got over a million hits. It also drove thousands of natural links and shares to my old smartphone forum and single-handedly boosted the SEO of it to help the forum achieve as many as 20K visitors per day. Producing content like this is easier for people who love analyzing and comparing existing stuff and coming up with something better, instead of coming up with a brand new idea that no one has ever talked about (I love both type of contents). According to Matt Cutts, link-bait is “something interesting enough to catch people’s attention, and that doesn’t have to be a bad thing”. You find someone (a website) whom you want to get a link from. You write up a post on a site of yours praising them a lot (like praising a service of them) and include a link back to their site. Do some simple email outreach, i.e. notify them about your post, and if you’re lucky, have your post featured on their site and get a link back! The praising part isn’t always necessary. You can make valuable comments about something, or provide some value to them in any way of your choice to get a link. Post something controversial, often involving / mentioning other brands or people. Produce something off-beat based on recent trends. Use interesting graphics along with your textual content, or ommit text altogether and try infographics. Create the best ‘how to’ or ‘guide’ on something and pitch possibly interested people who have a strong social media following. Leverage unique research to gain links. Post a massive collection of user-generated / crowd-sourced content, like “51 SEO Experts Predict The Future of SEO in 2014”. This is really working well at the moment. This form of content gets you consistent visitors and links. Though I recommend keeping a balance between the types of content you post on your site, I prefer evergreen content over time-sensitive content. Nothing’s truly evergreen. Like, my guides on Bing SEO and WordPress SEO might be as valuable as they currently are for five more years. But, after that period, I’ll need to update them. But, something like a video showing “how to make a cup of tea” might have a much longer lifespan. But, the maintenance required is really minor in most cases and doesn’t take as much effort as it took while creating it in the first place. Make sure what you’re creating is going there to stay, if not time insensitive. Create something that not only makes your audience admire, share and link to it, but also keep coming back for it in future. Try to make it understandable for everyone, not just the geeks of your industry. If you have to use industry jargon, atleast explain them in detail within the content itself. Use a tool like FollowerWonk to search within people’s Twitter bios and then filter the results and sort them based on your choice. Generally, if I am an expert about something, I’ll atleast mention the topic in my Twitter bio. For example, my twitter bio suggests that at the moment I “know a thing or two about SEO”. So, if you searched for “SEO” within people’s Twitter bios using FollowerWonk, you’d find me (or maybe not, because I haven’t got a thousand followers).So, you can basically use a format like, “keyword” or “keyword expert”. Find the top blogs in your industry from Technorati or by using a simple Google query: “keyword” top blogs . Get the contact details of people who run them. You can do that manually, by going through their contact pages and performing one or two Google searches, or you can use a tool like BuzzStream to do that for you. Look through communities related to your field. Like, us SEOs and Inbound Marketers have a really nice community of enthusiasts called Inbound.org. It offers an influential members list, which you can browse and find experts in the SEO / Internet Marketing industry. Now comes the part of actually reaching out to them. You can safely use both email and social media (I prefer email). One thing to note while emailing an influencer, make sure you personalize your email and don’t use a generic email template. I’ve found from my personal experiences that a personalized email increases the chances of getting a reply by almost 10x. Another thing, don’t get deceived by the short responses, as long as you’re getting what you’re asking for. Accept the fact that they’re busy people. Try and schedule your social media sharing at different times of the day, if you’re willing to go that far with your social sharing, because the number of clicks your shared content gets also depend on the time of the day it was shared. Place simple looking single-input (email address) fields within your content (not always the best idea). Produce great content, have a clear focus, and watch subscriptions come your way! Paid promotions are great, but large-scale ones cost an arm and a leg. That’s the reason why I use paid mediums only for initial traffic and only for the best stuff that I create. For content promotion, and not some other sorts of promotion like brand or product promotion, I prefer sites that are more likely to send me more visitors. I have used StumbleUpon Paid Discovery, Facebook Ads, and Reddit Ads so far to get some initial visitors for some of my more popular articles. StumbleUpon was the most bang for buck platform among the three, with Reddit on second and Facebook being the poorest of the lot. Reddit does refer people, but I’ve noticed most of the people there are either weird or pretend to be weird. That’s why not all types of content work there. They love humour, sarcasm, fun, puns, witty stuff etc. so if you publish such types of content you should try Reddit. At last, Facebook seems to be great for in-Facebook advertising, keeping in mind its costs, but it definitely isn’t the easiest thing on earth to get people, who are looking for friends and partners to get laid with, to read detailed posts about SEO, Web Hosting and the likes. You should be consistent with your content promotion. Promoting your content initially is like teaching your children how to talk. Without it, no one will get to know even if you publish the best thing ever in your field online. Promote your content across your social networks for atleast a couple of days after the date of publication. Do like 3 tweets on the day of publication, 2 the day later and 1 on the next day. Post once or twice in Facebook and Google+. Email your email subscribers once, letting them know about your content, on the day of posting. Use paid social media promotion for your best content pieces if you feel the need to do so. 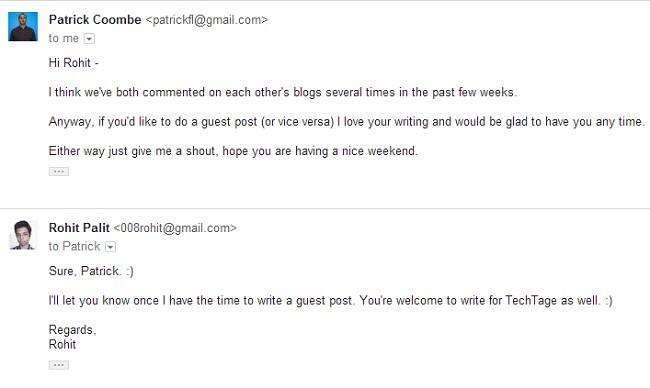 Email industry people you’re already familiar with, about your content. Politely ask them to share it if they find it useful. Email industry’s top influencers letting them know about your best stuff. Try a follow-up email with those who don’t reply at the first attempt. Chances are, they’ll share your content if it’s really good. You classify yourself as a link builder? Time to test your content marketing and outreaching skills! The only requirement for this is a great content piece or two. From the list of well known influencers that you got while looking to promote your content, pick out people who tend to link to other sites a lot from their content. So, if you email them, not only can they share your post to their huge list of followers, but they can also link to your post from a future article. Identifying the known linkers is a fairly easy process, though it can get a bit time consuming at times. For this reason, I only email people whose stuff I read frequently online and thus know about their outbound linking patterns. Identify the top blogs in your industry. I use Technorati (already linked in this article) or good old Google for the purpose. Go through some of them, notice which ones tend to feature industry-related articles on a daily, weekly or monthly basis. Chances are, there will be some doing that. Suggest your content to them via email or through their contact form or by using ‘tip us’ buttons and the likes. Most of them should be happy to link to your post, provided that it’s high-quality. I call this the aggressive outreach method for building links. The conversion rate is usually very low, but when it does work out it feels awesome. You reach out to people who own websites and have a track record of linking to others’ (good) stuff. You either get a reply or don’t. If you get a reply, you often are asked to return the favour by sharing something by them on your social networks, or linking to it from your future post. Whether you accept that or not entirely depends on you. I personally wouldn’t engage in reciprocal link building (that’s what low-quality link exchanges are called) unless, A. My content isn’t that great B. The site with the offer has a lot more DA than my site. You often get a link for no cost at all, and that’s the best possible thing with this technique. Don’t always hope for this to work though. I love sneaking into my competitors’ link profiles! I find practical or hands-on learning to be intriguing, and hence do stuff like competitor backlink analysis and stuff like that. I end up with quite a few potential linking opportunities for my own site. I use Ahrefs (already linked in this article) for this purpose. You may use a link explorer of your own choice, but it’s hard to beat Ahrefs when it comes to link discovery and accuracy of results. You can find free linking opportunities, linking opportunities against doing something, or really marvellous guest posting opportunities. I discussed about this in more details in this post. Keeping aside guest post links and relationship-based links, you still get a list of websites freely linking to your competitors’ great content pieces. With some simple email outreach, you can make them link to your own article on the topic, as long as it’s better, if not as good as, the ones published by your competitors. Webmasters create resources pages about a particular topic on their sites, linking out freely to high-quality pages on the internet about that particular topic. People discover them by topic, and find new posts and sites of their interest. Find the contact details of the webmasters of those sites. Ask them via email if they could have a look at your content and add them to their resource page if they find it appropriate. Your luck / conversion rate depends a lot on the quality of your content. People are likely to link to high-quality, detailed stuff with tons of information and media, especially if it’s helpful to the end users. You find old (not updated recently) pages related to your content. You check the pages for broken (links that return 404 not found or other errors) links. You contact the webmaster letting him/her know about the broken link, and then you casually pitch a related content of yours as a potential replacement. Again, the conversion rate depends on how good your content is, how much the webmaster cares about his/her site, and your style of approach. It’s of course hard to find broken links on pages by opening one link after another manually. There’s a really good extension available for Google Chrome called ‘Check My Links‘. It can check hundreds of links on a webpage in a matter of seconds. It wraps normal links in green boxes and dead links in red boxes. So, you can easily spot broken links even on lengthy pages using this lightweight extension. I’m just letting you know. By the way, if you update the page often, you could include a link to my own [Put Your Own Link Here] as well if you find it useful. It’s been gaining a lot of popularity within the [blah blah] community in the recent times, gaining mentions on sites like [example site] and hitting the front page of [example community] numerous times. Good job with the post otherwise! Where do you get tons of resource pages with broken links on them? Google! Just search using some advanced queries like you did in case of resource page link building, and tweak the dates and choose a much older time period (Like, if I were doing a campaign myself right now, I could choose between January 2006 to December 2008, for example). Pages with a lot of links are more likely contain one or two broken links than a page with few links, so that type of pages should be your primary target. So, while progressing with a broken link building you can thus target resource pages, again — even when you’re not doing resource page link building. Social Media is one of the best mediums that you can leverage to increase your brand and website exposure. With a proper social media strategy, you’ll be able to get your content in front of people who matter, to have your share of chances at getting links that matter. Thus, you can’t ignore social media en route to increasing the DA of your site. What type of content do you mainly produce? Is it textual content, images, videos or something else like slides? If you’re looking for the maximum exposure for a campaign that’s not all serious looking or doesn’t have a purchase / paid action as its #1 goal, Facebook might be a good bet. Facebook is also exceptionally well for promoting your own Facebook page and building passive following and authority that way. People are generally so engaged on Facebook that many of them don’t prefer leaving the site for other external sites. Twitter works really well as a content sharing platform. Literally every type of content is suitable for promoting on Twitter. As users are limited to only 140 characters while posting tweets, they are less conservative about leaving the site for external resources. Hence, I’ve seen good external content getting viral on Twitter more often than on Facebook. YouTube undeniably is the #1 video sharing site on Earth. You don’t have many worthy alternatives to that. Reddit is full of users that love humour, fun, weird facts & events, and sarcasm. Reddit is infamous for crashing servers. But beware, people with monetary goals often get smacked to death on Reddit. The best way to hit the Reddit front-page one day is to start participating in Reddit with a free mind. I already mentioned what Redditors love, so if you happen to post something interesting of that sorts on your site, you might as well give it a try on Reddit. LinkedIn is full of business professionals and useful groups. It usually works well for businesses with financial goals. StumbleUpon is great for sharing stuff of your site on. The users are mainly looking for useful and interesting content related to their interests. Like Reddit, it’s got a voting system for posted contents that shows most liked (upvotes – downvotes) things first to the users. Users don’t actually have to leave StumbleUpon when they are reading other things suggested by it. External webpages load within the same StumpleUpon browser window. Pinterest is great for sharing images (memes, visual charts, infographics etc.). Shared contents easily get re-pinned. Pinterest will drive a decent amount of traffic to your site as long as your visual content is high-quality and interesting. Instead of adopting the create and run policy, plan a long-term social media strategy. In addition to interacting on the new platforms, set your profiles up properly with profile pictures, header pictures, cover pictures, background images and details — where applicable. A well set up profile might be the closing factor between people clicking on your shared links and ignoring them. So, if you consider a high number of referral visits a conversion, setting your profiles up properly is just a basic CRO tactic for boosting your social media conversion rates. Professional looking cover pics, profile pictures and other the designs used throughout your social media profiles can help shape your perceived credibility. As 90% of information transmitted to the brain is visual, and visuals are processed 60,000x faster in the brain than text (multiple sources), users should be able to quickly relate your social media presence to your actual website just by looking at the visual elements. A social media presence without the brand’s most prominent trademarks can hurt its perceived value, trust, and ability to drive referral traffic. So, saving on design can actually cost you more in the long run. An easy way to make your social media presence more powerful is to invite your fans to follow you on the social networks of their choice. You can do that by promoting your social media profiles on your actual website. You can place social ‘follow’ widgets on your site’s footer and sidebar. They tend to convert well. Depending on your site, you can also promote your personal social media presences in places like your author bio section. A great way to build your social media authority is to gain trustworthy followers / likers / whatever they are called. Again, having great content on your site makes the job of gaining highly reputed followers easier than ever. You can either concentrate entirely on your own productivity and hope high-authority people to eventually follow you socially, or you can go around the issue by finding and initiating conversations with authoritative personalities, or do both. You can get visits to your social media profiles from your guest posts, rather than just to your website itself. Thus, guest publications can be a passive, but great way to develop your social media authority and grow your following. Some websites (like the one in the screenshot) use cool author bio boxes like fanciest author box that offers contributors to drop in links of their social media profiles so that interactive social buttons are displayed under separate tabs within the author bio box itself. You can leverage this to gain some extra personal or brand followers without much efforts. You can leverage your viral or epic content pieces and gain tons of followers to build your site as an authority in your industry. Viral content is particularly good at giving a lot of followers at once whereas detailed or evergreen content is better suited for longer terms. Building a strong brand helps with the overall process of growing an authority site. Users can easily relate your site to your brand, which in turn increases the percentage of returning visitors to your site. So, in short, a proper branding strategy will help with the exposure of your content in front of a larger audience. That, in succession, will help your content attract more social shares and powerful backlinks. Unless you think that offline marketing can’t help your site at all for its specific type, you can always try some good old offline brand building. You can leverage paid ads on newspapers, television channels, and even roadside hoardings. You can target specific countries or localities, or go for a larger audience if your budget permits it (it would if you were the CEO of AOL, Inc. , for example), entirely depending on your goals. Participate in a conference as a speaker. Participate in a local radio programme about something you’re an expert in. Issue press releases from time to time about new things about your site or brand. No matter what you do, don’t spend a ton of money on an offline marketing campaign while promoting an online asset unless you know what you’re doing. A good way to quickly make a name for your brand is to leverage paid social media advertising. I’ve found that social media ads work better than CPC or CPM banners on generic sites, especially when you’re promoting a brand looking to improve its exposure and trust factor. I particularly prefer Facebook because it’s got a huge user base and offers ads in lots of different formats. I’ve noticed that targeted ads on users’ news feeds work really well. You can also resort to in-Facebook advertising to boost your conversion rate even further. So, instead of directly promoting your website, you can promote your Facebook page and get referral traffic from your Facebook page. If you’re really serious about your brand and definitely want to build it as an authority in its field, consider hosting an industry event. PubCon by Brett Tabke & Co. The pre-sold tickets and all the excitement during these conferences build a strong brand authority for the hosts. Though your event might not be the most popular one in the industry in its beginning stages, it’ll still build your brand some authority due to it being the host. Have you heard of re-targeting before? It’s basically targeting people who’ve already visited your website, but didn’t convert, whatever your conversion goals may be. Based on that basic idea, re-targeting, also known as re-marketing, is leveraged online using paid social promotions and email campaigns. 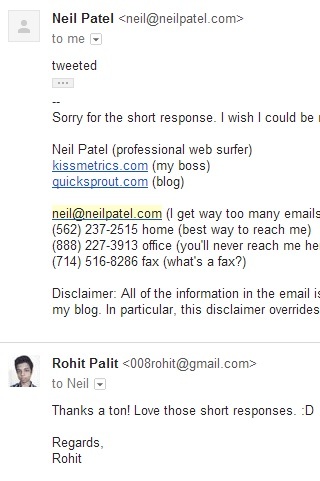 Neil Patel has written a good article on setting up a re-targeting campaign. So, re-targeting can be a good thing from an ROI perspective that doesn’t make you shell out a lot of cash. Even if you don’t have a direct financial goal with your website, re-targeting can be pretty useful. For example, if someone is trying to build an authority site about something by posting great content, he or she can leverage re-targeting and drastically increase the percentage of returning visitors to the site. So, in a way, it’s really useful to build a loyal audience most of the times. One of the easiest ways to increase your brand engagement is to respond to users’ comments and queries. Now, you don’t have to respond to a question that’s previously been asked a thousand times. You can simply create an FAQ page for that. But, that shouldn’t stop you from answering other uncommon questions. 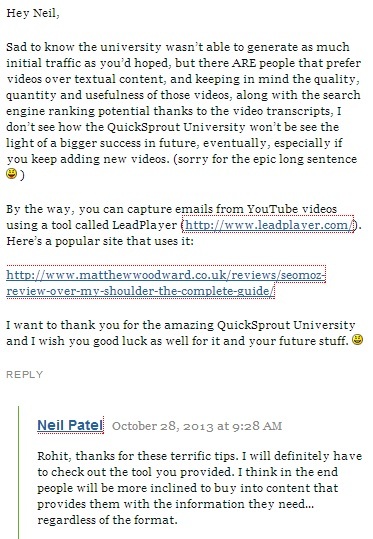 Neil Patel replies to all comments on his blog posts on QuickSprout. That not only pleases the people who’ve already commented, but also invites more people to comment and engage with his site, and thus his brand. That’s why he’s able to get over 150 comments per blog post in an average. Another way to go around it would be to create a forum. Jacob King allows his blog readers to directly ask him questions through a separate forum. The result is very impressive. He’s got super loyal readers and the visitors count is just increasing every month. Enthusiastic people love quizzes. You can increase your site engagement by doing something as simple as creating a quiz for your readers. What’s more, quizzes can also be a great way for you to collect user emails for your email marketing campaigns. 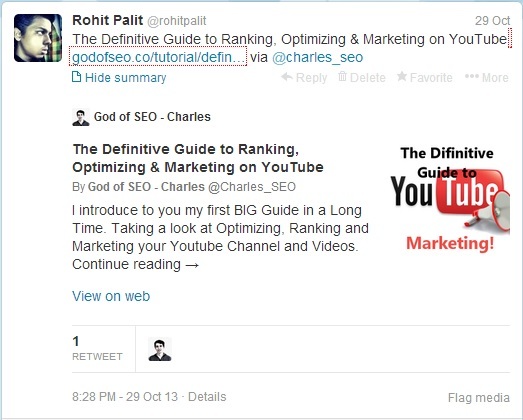 Charles Floate created a quiz for the readers of his blog – God of SEO. He got hundreds of participants and was able to collect more than a hundred emails through that quiz alone. The trick with increasing the percentage of returning visitors is to give them a reason to come back. Publishing awesome content is one way handle that. The second would be to work on brand engagement. No matter what type of industry you’re in, having a blog is almost always essential. Not only is that a great platform to periodically post new content, but blogs also tend to be more engaging than dull and boring static sites. Leverage your email list by sending your subscribers engaging emails from time to time. Share good things to them via email so that they don’t think all you care about is your own site or brand. Publish great and interesting content. Period. Promote your new blog posts across your social media profiles. Maintain a specific schedule for posting new blog posts. Like, if you post every 3 or 4 days, then your blog readers will know when to check your blog again. Show your appreciation towards the most active users by sending them free goodies. A branded t-shirt or a branded package of useful things, whatever it may be, can definitely please the currently active users and motivate others to be active as well. A great example of a site leveraging this tactic is Moz. They send out stuff like t-shirts, and Moz swag packages to top contributors. They even invented a scale of usefulness (to other visitors / end users) within the community, called MozPoints. This is always a good way to increase user engagement. On a similar note, you can get people to link to you or talk about you by sending them free stuff. For example, ShoeMoney organises something called Free Shirt Friday. So, every friday he wears a new t-shirt sent to him by a brand, with a logo of the brand on the front or back side of the t-shirt, and posts a picture on his site, with a link back to the site that sent him the t-shirt. Cool, right? Awards can be a good symbol of trust for your site. A good award can better do the talking instead of you. So, it’s easier with awards to establish your site as an authority in your industry in front of your readers. Sometimes, even your guest posts and other publications around the web can win you awards. Matthew Woodward has won multiple awards for his internet marketing blog and guest posts that he wrote. He proudly displays the awards he got on his site. 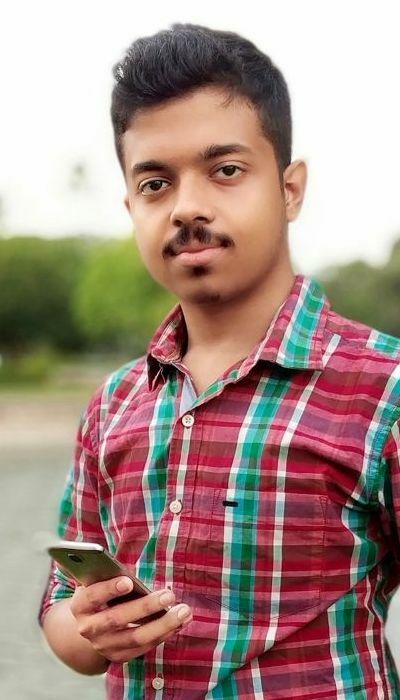 He even went on to changing the title of his blog to “Award Winning Internet Marketing Blog”, which instantly motivates first-time readers to check his site out in details. This might be a bit tricky. Getting referenced on leading news sites or magazines related to your niche requires great content. Without it, you’re not going to get referenced, as simple as that. I have found that there are mainly two ways of going around it. Firstly you can spend big on your content marketing campaigns, hire quality writers and in short, use your financial superpowers to produce great content. The second way is using your or your staff’s personal expertises to produce unique, in-depth, interesting content that doesn’t directly involve any cost. I chose the second path and got referenced in a few leading sites — recently on Search Engine Land, twice. If you run an e-commerce site, you probably already know about the importance of trust symbols across your site. Because every single internet surfer is not a pro web surfer. They tend to trust sites with ‘trusted’ type of badges and symbols more than sites with blank footers. Which Site Seal do People Trust the Most? Once you have a brand that people love and trust, you can easily leverage it to get the most social shares from your content pieces. Because, people are more likely to share good stuff published on a site that they recognize and trust at the same time. If Amway posted a cool infographic or study about toothpastes, that’d interest people and gain a fair amount of social shares, right? But, if I create the same thing and post in my no-one-has-ever-used toothpaste site, I’m sure it’ll drastically reduce the number of people sharing it, even if I get paid social traffic. This is the reason why I consider building a brand to be a great long-term investment, because you can always leverage a trusted and popular brand to do more things than you can imagine. Having a popular, reputable brand also gives you a piece of mind, because you always know you have something that no one can take away from you. Maintaining good relationships with other site owners in your industry is crucial. People who have a good relationship with you are more likely to link to your site than those who don’t. So a good relationship with a website owner or author can be the x-factor that’ll determine whether you’ll get a link from them or not. Now, as you know, links = authority. So in a way, good relationships with others = authority. You can share the contents posted by influencers on social media sites, tagging or mentioning them in the process where applicable. They’ll eventually notice you as a regular sharer (and hence reader) of their contents. It doesn’t mean you’ve to follow every single influencer in your field and share everything they post. That’s not how it works! You can just follow a few influencers whom you like as content creators and then read their stuff and share what you like yourself. If you do it right, it’s a pretty good way to let the influencers know you love their stuff. That can be a perfect start to a good relationship, right? This is the previous point, with direct interaction involved instead of social sharing. So, in short, you still have to deal with those few influencers you love for their contents, and start interacting with them on social platforms. Where they are mainly active may depend on your industry, but in my case most are active on Twitter. Once you know a bit about them, you can start exchanging emails with them and chatting with them on Skype or any other IM Software. 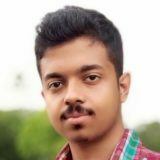 A few casual interactions with some of the influencers in the SEO industry got my stuff featured in a lot of other sites, and I was also asked to do this interview which, I think, was appreciated by many and read by quite a few other influential people. I don’t hold myself back from praising genuinely good things. I make sure I atleast let the creators know that I like their creation, usually by simply dropping a comment or via email or a simple tweet. This helps build a connection between you and the influencer. And, it doesn’t hurt anything. The trick here is not dropping generic “good work” or “amazing stuff” comments. Make sure your comment provides value. Even when you’re criticising something, be productive with your criticism. A decent relationship with the influencer. A great piece of content on your site. You can normally ask them to give your post a read and if they find it useful, share it with their social following (don’t be too pushy). Building alliances with fellow site owners can really pay off in the long run. Guest posting opportunities on friend sites. Chances of getting links from ally sites to your recently published high-quality content. Chances of getting social shares for recently published posts from allies. A wider reach of your own brand, thanks to the alliances. Alliances are built naturally, from likeness and respect towards each other’s sites. Emailing potential allies “will your site be a partner?” and thinking “I nailed it!” won’t actually make you nail it. You should rather try everything possible to produce good content and get them in front of as many people as possible. That’s the sort of thing you should do. Once you’re in an alliance, you can read your ally’s recently published contents and share the ones you find useful socially and even link to them from your future posts if that’s appropriate. It’s useful for both of you and your ally that you not just read, but provide constructive criticism, so that you both can improve the quality of your future publications even further. Contributing useful content to friendly sites opens up the opportunity to get familiar with a new set of audience. Plus, it also adds a new flavour to the content side of things for both the sites. I’ve contributed a grey hat SEO post on FindMyBlogWay at a time I wasn’t too confident of posting it on my own blog, and a couple of days later I got an awesome guest post on Google penalty removal from Liam McCarthy as an indirect result. This is a really powerful way of pleasing your ally without having to work hard. You can use your expertise about something your ally needs help about, and expect your ally to return the favour soon. I helped Charles with his site, when he needed help about its menu and commenting system and a couple of other things. Though I’m not a WordPress ninja, I was able to fix everything under an hour. I didn’t do it for a financial purpose because it’d be beginning of a long-term relationship that helped me learn a lot from him about the grey side of SEO. Though I don’t ideologically support spam, it’s good to see something from both sides and I believe it made me a better technical SEO. A great way to actively maintain an alliance is to get strategically involved with your ally. I always love inputs (about something) from experts (about that thing). Charles and I helped each other strategically. I laid down the plans for making his site thrice as fast. He in turn passed on numerous strategic advises regarding my site, putting his extensive knowledge and experience about SEO to a good use. Not only that, I was able to learn different types of things from him (not sure if vice versa) without paying him a big amount of hourly consultation fees. Plus, these can often offer financial benefits as a bonus. When Charles bought hosting and CDN services from the companies I recommended him, he used my affiliate links. Similarly, when I bought a couple of SEO tools, I used his. Lastly, strategic discussions with other similar minded people can help increase your own knowledge about tons of things. I love experimenting, so I constantly test what my allies are advising me to see how well they work. As a result, I often come up with unique angles to seeing something, and that unique perspective can result in unique posts to be written. Last of all, help people! Help those who engage with your site. It’s an advise I originally got from Neil Patel and experienced huge benefits since I started following it. I try to reply to every blog comment with as much useful information as possible. It feels great to let people know about something, and the signs of appreciations are something money can’t get you. On-site: Create and maintain a user-friendly site structure with mainly people and then search engines in mind. Implement Google Authorship and ensure that your site’s on-page SEO is good enough. 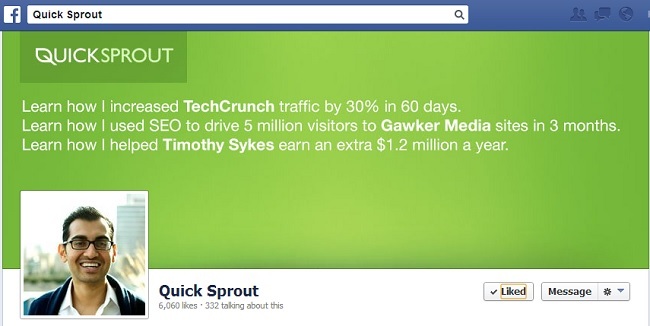 Content: Produce content assets that get natural social shares, mentions and links! Make content promotion a daily habit. Follow link builders’ outreach methods to get more links for your contents. Social Media: Setup a strong social media presence across the sites that are ideal for your brand (for example, Pinterest and Facebook). Properly set up your profiles and use professional-looking designs to build trust. Develop social authority by interacting with other high-authority people. Branding: Build your site as a brand. Increase its exposure, and then aim to improve overall brand engagement. Lastly, develop brand trust and authority and leverage it to get things done. Relationships: Initiate conversations with industry influencers and start connecting with them. Build relationships with fellow site owners and similar minded people and contribute to their sites and help them in the field of your expertise and also strategically. WTF did I just read? How long is this post? I was looking to create something epic, and realised that I’ve tried way too many strategies for building domain authority in my limited time with websites and SEO. 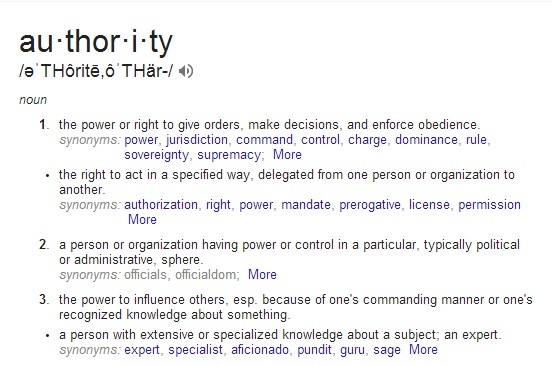 I also felt a lack of high-quality articles related to Domain Authority and authority-based SEO, so I thought I’d fill the gaps with this one.